In the previous post I wrote about a new initiative on Twitter, the Twitter Journal Club (hashtag #TwitJC). Here, I shared some constructive criticism. The Twitter Journal Club is clearly an original and admirable initiative, that gained a lot of interest. But there is some room for improvement. I raised two issues: 1. discussions with 100 people are not easy to follow on Twitter, and 2. walking through a checklist for critical appraisals is not the most interesting to do (particularly because it had already been done). But as one of the organizers explained, the first session was just meant for promoting #twitjc. Instead of the expected 6 people, 100 tweople showed up. In the second session, last Sunday evening, the organizers followed a different structure. Thus, I thought it would only be fair, to share my experiences with the second session as well. This time I managed to follow it from start to finish. This time the discussion was about Rose’s Prevention Paradox (PDF), a 30 year old paper that is still relevant. The paper is more of an opinion piece, therefore the discussion focused on the implications of the Prevention Paradox theory. It was really helpful that Fi wrote an introduction to the paper, and a Points of Discussion beforehand. There were 5 questions (and many sub-questions). I followed the tweets at http://tweetchat.com/room/twitjc. Imagine tweets rolling by and you try to pick up those tweets you want to respond to (either bc they are very relevant, or because you disagree). By the time you have finished your tweet, already 20 -possibly very interesting tweets- passed by, including the next question by the organizers (unfortunately they didn’t use the official @twitjournalclub account for this). Well, I suppose I am not very good at this. Partly because I’m Dutch (thus it takes longer to compose my tweets), partly because I’m not a fast thinker. I’m better at thorough analyses, at my blog for instance. But this is Twitter. To speak with Johan Cruyff, a legendary soccer-player from Holland, “Every disadvantage has its advantage”. Twitter may not favor organized discussions, but on the other hand it is very engaging, thought-provoking and easy accessible. Where else do you meet 100 experts/doctors willing to exchange thoughts about an interesting medical topic? Again, the Twitter Journal Club gained a lot of interest. Scientist and teachers consider to borrow the concept. Astronomers are already preparing their first meeting on Thursday… And Nature seems to be on top of it as well, as it will interview the organizers of the medical and the astronomy journal club for an interview. The two meetings of the journal club so far have not focussed in on this particular system; the first used a standard appraisal tool for randomised controlled trials, the second was more laissez-faire in its approach. This particular journal club is finding its feet in a new setting (that of Twitter) and will find its strongest format through trial and error. indeed, to try to manage such a phenomenon might be likened to ‘herding cats’ that often used description of trying to manage doctors, and I think, we would all agree would be highly inadvisable. Indeed, one of its strengths is that participants, or followers, will take from it what they wish, and this will be something, rather than nothing, whatever paper is discussed, even if it is only contact with another Tweeter, with similar or divergent views. Indeed, what I gained from these two meetings is that I met various nice and interesting people (including the organizers, @fidouglas and @silv24). Furthermore, I enjoyed the discussions, and picked up some ideas and examples that I would otherwise wouldn’t know about. The last online meeting sparked my interest in the prevention paradox. Before the meeting, I only read the paper at a glance. After the session I decided to read it again, and in more detail. As a matter of fact I feel inspired to write a blog post about this theory. Originally I planned to write a summary here, but probably the post is getting too long. Thus I will await the summary by the organizers and see if I have time to discuss it as well. Rose G. Strategy of prevention: lessons from cardiovascular disease. Br Med J (Clin Res Ed). 1981 Jun 6;282(6279):1847-51. PubMed PMID: 6786649; PubMed Central PMCID: PMC1506445. Rohit Bhargava who interviewed both nurses also interviewed the famous medical blogger Kevin Pho of KevinMD about why he blogs, what results he has seen and the future of the medical blogosphere the future of Medical Blogging. He makes clear why it is important for doctors to blog. However, there is one major obstacle for busy physicians, namely: TIME! KevinMD : Scenes from Blog World Expo 2009 and the future of medical social media. Kerri (sixuntilme): BlogWorldExpo: Medical Bloggers Make Their Debut. In Social Media the content is the conversation. There is a rising class of “professional” bloggers. (I have some problems with the division in ‘professional bloggers’ and ‘hobbyist’ though, since professional bloggers are those regarded as “earning some money” and hobbyists are regarded as those that don’t. 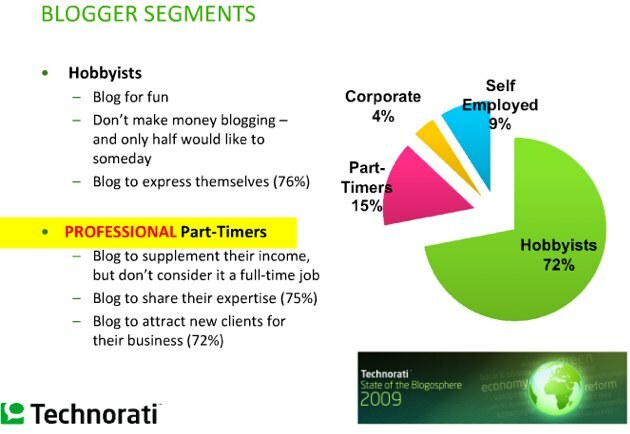 I think there should at least be 3 main groups: those blogging as a profession (earn money), those blogging as an expert (mostly) in their free time (professionally) and those writing about their hobbies, children etc (hobbyists). 26% of bloggers who also use Twitter say that the service has eaten into the time they spend updating their traditional blogs – though 65% say it has had no effect. on average only .83% of the page views come from Twitter referrals. Advise to succeed: be passionate. Bloggers believe that politics (57%) and technology/business (44%-20%) are among the fields most impacted by the blogosphere, and that they will continue to be transformed by the blogosphere going forward. Health was only mentioned by 5%. Last Sunday I was an invited speaker at a national congress for interns, the LOCA congress. LOCA stands for “Landelijk Overleg Co-Assistenten”. This congress has been initiated to facilitate the contact between interns of all Dutch universities and to cover in depth subjects that usually don’t get much attention. The LOCA congress offered a diverse program, varying from “minimal invasive and maximal effective surgery”, “memory training” and “a dirty mind is a joy forever”. You can see the program here (Saturday; Sunday). The previous event I gave a Search Workshop, this time the subject was “Medicine 2.0”. I didn’t realize in advance that this wasn’t a convenient day. First it was Mother’s day. My children weren’t pleased that I wouldn’t be around. Furthermore I had to prepare an Evidence Based Searching day the following Monday and several other workshops that week. Still, Sunday morning we spent together in the garden eating home made smoothies and muffins that my eldest daughter L made, with on them in colors: “Mama blog”, “L X M”, “Laika twitter”, “Success”, etcetera, which illustrates how they see me now. 40 minutes is short and I promised the interns to provide them with some information afterwards. But I won’t withhold a series of tweets (Twitter messages) specifically directed to the interns of this workshop. You can view the tweets labeled with #MOVIR, here at Visibletweets. They have been tweeted by doctors, a patient, a nurse and a physiotherapist. Please see them all, the first tweets are shown last. A few posts back I just discussed that Personalized Genetics has not fulfilled its promise yet. 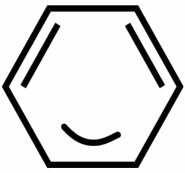 But what about PeRSSonalized Medicine, just launched by Bertalan Mesko? Bertalan Meskó is a medical student from Hungary, who runs the award-winning medical blog Scienceroll. According to the web 2.0 model of Hugh Carpenter, mentioned in a previous post, Bertalan (Berci) just finished his journey as a Web 2.0 jedi: he started a web 2.0 company: Webicina. Webicina offers a personalized set of web 2.0 tools to help medical professionals and patients enter the web 2.0 world. To be honest I was a bit skeptical at first. When I think of web 2.0, I think of it as *open, *collaborative, *creative commons, *networking, ****collective intelligence (Elizabeth Koch). Web 2.0 exists by the mere fact that people want to share information for free. Later I realized that this initiative is comparable to individualized courses that you have to pay for as well. Webicina will also offer some free tools, especially for patients. PeRSSonalized Medicine has a beautiful and straightforward interface. There are 5 separate sources you can follow: (1) Medical Journals, (2) Blogs, (3) News and (4) Media (including Youtube channels, Friendfeed rooms or Del.icio.us tags), and (5) “articles” in PubMed (to setup this you have to perform a search in a separate toolbar). The items included are partly of general interest -i.e. the Medical Journals includes 13 titles, including the BMJ, the JAMA and the Lancet-, partly it is very specialized, i.e. on the field of genetics. A lot of Journals are not included and Web 2.0 sources tend to be more represented than the official media/journals.Thus this tool seems most suited for the generalist and people wanting to follow web 2.0 tools. On the other hand – and this is a clear advantage- the content develops as wishes and suggestions are taken into account. Each Tab can be personalized by simply hiding the titles you don’t want to include (under the button personalize it), but settings are only saved after registration. The view of the personalized page is pleasant and neat. You see short titles of the 10 latest articles of the sources you have subscribed to. Moving your mouse over the titles will reveal more information and once you clicked the link it turns grey instead of blue. What I miss is the button: more, so you can catch up if you have missed older articles. Especially with media and journals that often have more than 10 new articles per issue, even more so if the first 10 titles consist of “obituaries” (BMJ). However, as most of you may know, you don’t have to go back to Pubmed over and over again to “do” your search, but you can easily subscribe to a search in PubMed either by email (My NCBI) or by RSS (see for instance this post in Dutch). Although the process of subscribing is not as intuitive as it is in PeRSSonalized medicine, PubMed is better suited to design a good search strategy. To keep abreast of the latest information in your field a good search forms the basis. It hurts my heart as a librarian that most web 2.0 people are more fixed on the technique of how to subscribe to a feed (RSS) than on good search results. Remember, it still is: garbage in, garbage out. RSS is just the drain. 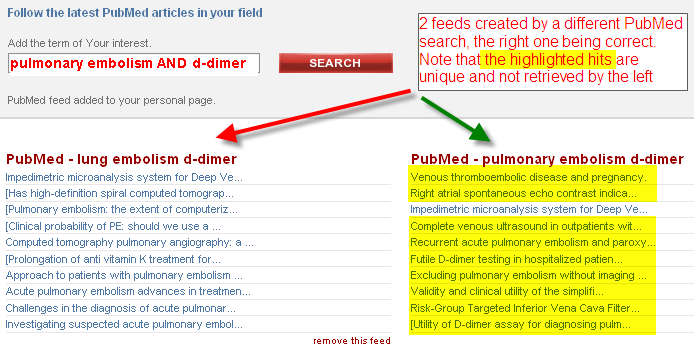 As an example I show two RSS feeds below, one with more appropriate terms (pulmonary embolism and d-dimer) than the other (lung embolism and d-dimer). Pulmonary embolism is a MeSH. It is evident that with lung embolism articles will be missed just by choosing wrong/less optimal terms. Again the presentation of results is pleasant. Apart from the search restrictions I don’t find it very handy to look up each paper in HubMed (for that is where the link takes you). Personally I prefer regular e-mail-alerts at specific intervals (via MyNCBI). 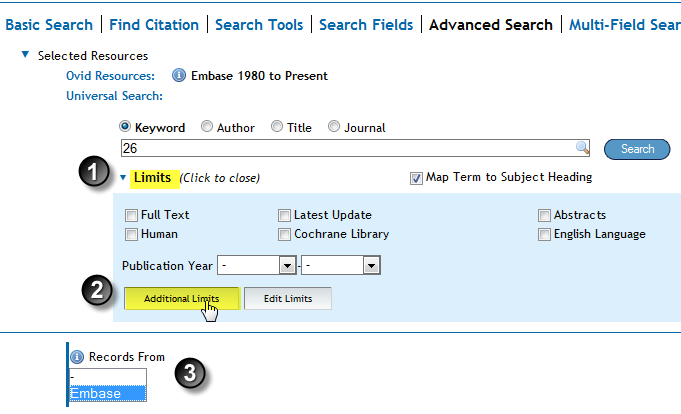 I would like to look up citations either individually (if there is just 1 interesting hit) or all at once (10-50 hits). 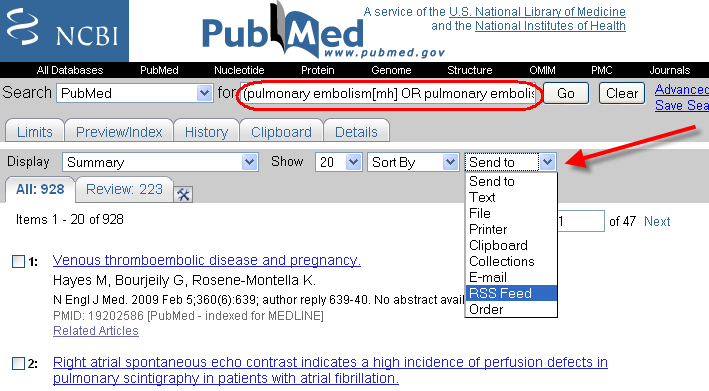 In PubMed, results can be selected, PDF’s directly downloaded from the library website and citations can be kept in My NCBI Collections or imported into a reference manager system. A RSS-feed of Pubmed searches is also handy (see below). The idea presented on Webicina, although fancy, is not new. Consider the following alternative web tools, also build on data collected from RSS feeds. 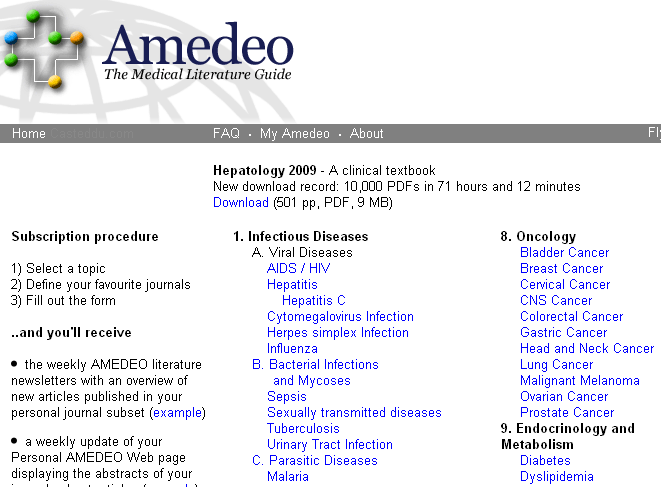 Amedeo is dedicated to the free dissemination of medical knowledge. It is an international free service that will send you weekly literature updates in medical subjects of your choosing. At the same time a personalized website is made, with subscriptions to the journals you selected. You can retrieve the articles in text or in HTML-format. The HTML format brings you to the latest results for that Journal in PubMed. This service seems most suitable for specific medical disciplines. General topics (family physician) are not available, although it is possible to subscribe to for instance the American Journal of Family Physicians. As with all these free literature services, you will have to subscribe. It is easy to select or deselect journals in a category (tick boxes). Amedeo also has Free Books For Doctors, but no podcasts or blogs. You can search the site, but you cannot easily look up individual journals. 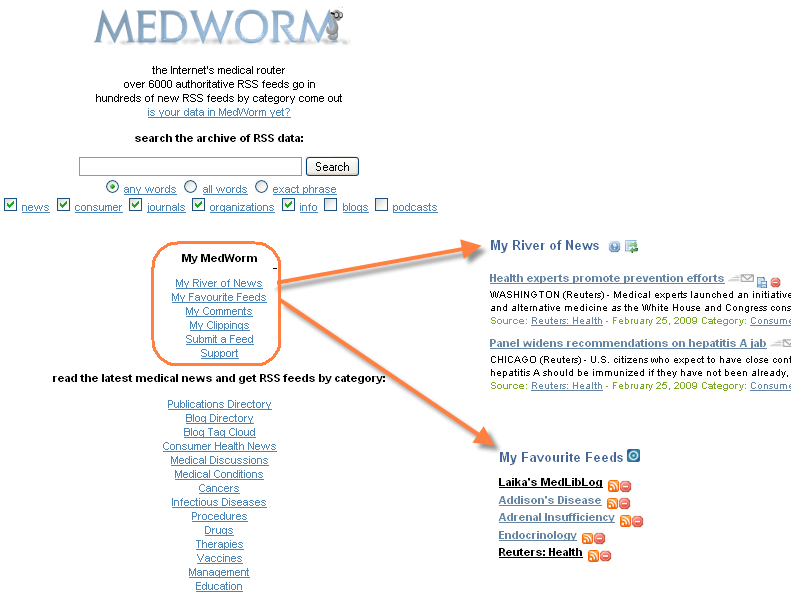 MedWorm is a free medical RSS feed provider as well a a search engine. It is meant both for doctor and patient. There are many medical categories that you can subscribe to, via the free MedWorm online service, or another RSS reader of your choice, such as Google Reader. The number of RSS-feeds is enormous: >6000. There are a publications directory, a blog directory, a blog tag cloud, consumer health news, discussion and several specific topics, like cancers, drugs, vaccines and education. Within the publications directory there is a further subdivision in: Consumer – Info – Journals – News – Organizations – Podcasts. Many specialties are represented, including primary care and veterinary science. I tried it out and subscribed to some Addison’s disease related topics, Reuter’s Health and my own blog, which has recently been included. When you subcribe via the Medworm-RSS all news can be read in “My River of News”. It shows the titles and part of the abstracts (see Fig. below). You can subscribe to single items or categories, but it is not possible to in- and exclude individual feeds within a topic or category by a single action. So within Endocrinology I cannot selectively exclude all diabetes journals, but (as far as I can see) I have to subscribe to each individual journal, if I don’t want the whole package. The loading of the River of News takes long, sometimes. Together with David Rothman the builder/owner of MedWorm, Frankie Dolan, has also launched Libworm, which is a librarian’s version of MedWorm. Sometimes the library will set up a personalized start page. 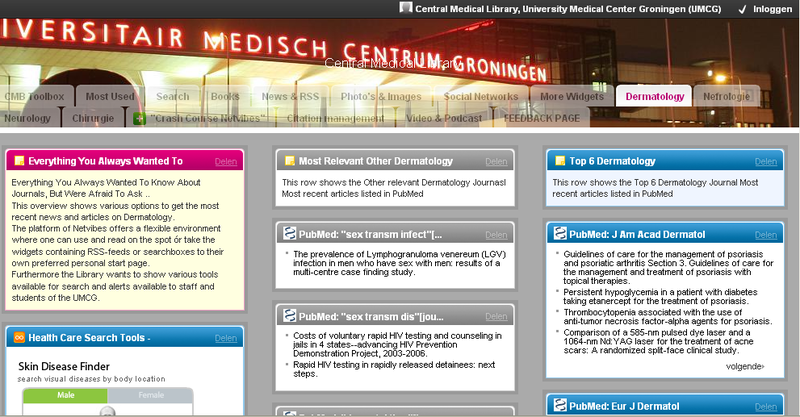 See for instance the Dermatology page created with Netvibes at the Central Medical Library, University Medical Center Groningen (UMCG). Doesn’t it look beautiful? And isn’t the tool below superb looking? Well, I constructed it myself on basis of what Ves Dimov wrote in the post “Make Your Own “Medical Journal” with iGoogle Personalized Page”, he submitted to the first MedLib”s round. And I had a little “life” help from Ves via Twitter, because things have changed a bit. All you need is a free Google mail (G-mail) account, just go to Google.com/IG (or search the web for I-Google) and subscribe. First you can create your start page with all kind of gadgets (like clock, G-mail inbox and weather forecast, see Figure below) and then you can add other tabs (encircled below). The Medical Journal and Journals Tabs I just took from Ves by clicking on the links he gave in his post: RSS feeds of the “Big Five” medical journals (NEJM, JAMA, BMJ, Lancet and Annals) plus 2-3 subpecialty journals and the podcasts of 4 major medical journals in iGoogle. Once you have these tabs you can edit them (add, delete, move) as you like. All the above tools are based on RSS, which means Real Simple Syndication. It isn’t called Simple for nothing. You can easily do it yourself, which means that you have more freedom in what you subscribe to. Because I-Google doesn’t scale well beyond 50 or so RSS feeds, other RSS-readers are advisable once you subscribe to many different feeds (see Wikipedia for list and comparison) . I use Google-Reader, shown below, for this purpose. Generally, adding Feeds is easy. In Firefox you often see the orange RSS-logo in the web browser (just click on it to add the feed) and most Journals and blogs have a RSS-button on their page, that enables subscription to their feed. 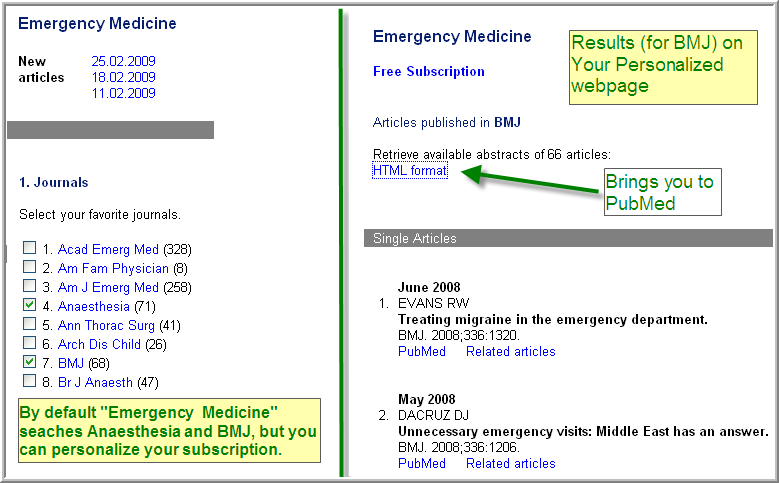 As detailed in another (Dutch) Post, numerous Pubmed searches can be easily added to your RSS-reader. You build up a good search in Pubmed, for instance: (pulmonary embolism[mh] OR pulmonary embolism* OR lung embolism*) AND (“Fibrin Fibrinogen Degradation Products”[Mesh] OR d-dimer). In “the Results” you click on “Send To” and choose RSS-Feed and add it to your reader. That’s all. But there are other free tools around with more (subscription) possibilities and with a little more investment of time you can do it yourself and make subscriptions really perssonalized. Once you know it is simple, believe me. 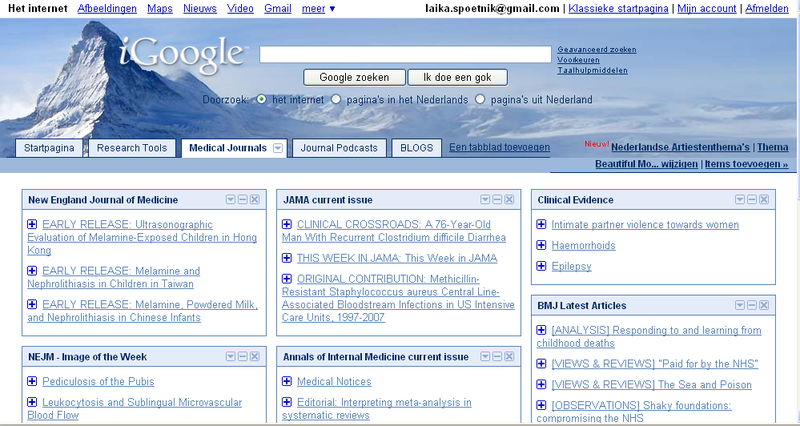 Welcome to the October 21, 2008 edition of ‘grote visite’ or Dutch Grand Rounds. This week there were 6 submissions to the blog carnival, only 2 of which were genuine (Dutch/health-related/not-commercial/no-spam). Jan Martens of MedBlog.nl refers to an interesting article on Reuters about teleradiology and remote medicine. During the night shift medical images of patients in for instance the United States and Singapore are sent for appraisal to Indian radiologists because of lower costs and shortage of staff at night. Jan gives various examples of other interesting applications, but wonders whether this kind of telemedicine will be easily implemented in the Netherlands. Dr. Shock consistently comes up with some very interesting journal articles. I really appreciated his take on impact of medical student biases towards patients with mental illness. So you may read that one as well! 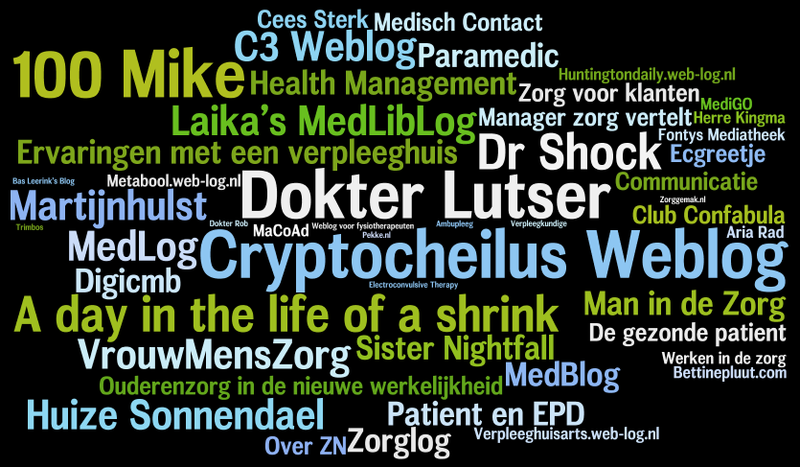 Below are my own choices from blogs form the Dutch medical blogosphere. 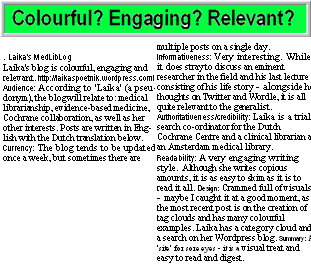 I hope it will inspire other Dutch Medical Bloggers to participate more actively in the Dutch Grand Rounds. The blog Health Management Rx of Jenn McCabe Gorman is already reviewed in another blog carnival, i.e.Medicine 2.0 Blog Carnival Edition #33. Of course we already knew that Health Management Rx was not dead, because Jenn hosted the previous Dutch Grand Round. Many other Dutch Bloggers are also heavily involved in health 2.0, and many of them are also on Twitter. For instance apart from Jenn: @mdbraber (also in San Fransisco at the moment), @martijnhulst of martijnhulst.nl, @Zorg20 of www.azo.nl (Acute Zorgregio Oost) and @fackeldeyfinds of fackeldeyfinds.com. October 10th, most of these twitterers were attending the master thesis presentation of Maarten Den Braber (mdbraber) about the value of business models for hospitals, either live in Enschede or virtually (livestreaming!). Interested in this subject? You can find the links to the final document and the powerpoint he used for his presentation on this blogpost. A previous host of de Grote Visite, Marjolein Fermie of “De gezondheidszorg leuker en effectiever” gives a short overview of what makes working (in Healthcare) fun. Another C3-log-ger, Frank Wolterink reflects about franchising health using the same franchise methods as fast-food chain McDonald’s (and others). Very aptly called: ‘Franchising Health Instead of French Fries’ in another (english) post on delivering health care. At A day in the life of a shrink there is a very interesting post on “the” critical care physicians of today, who completely rely on scans and lab results without physical examining and sometimes without even having real contact with the patient. Apart from unnecessary long waiting for some diagnosis (i.e. prominent pancreas cancer metastases felt instantly), this can make the patient feel very lonely. People aren’t numbers! This blog has numerous posts on music, as has Vrouwmenszorg.web-log, a very nice diary-like blog of a family physician. From Music (Pink Floyd, In a gadda da vida, Child in Time: my style!) and beautiful photo’s to ‘a day in the life of’: “No, don’t dial 911 for an ambulance, but take a taxi and see your doctor first”. Sometimes she writes for Paramedic WorldWide. Wonder what Vrouwmenszorg or Paramedic Worldwide would think of my previous post on (acute) care (for Addison patients). Apparently paramedics are allowed to give infusions to diabetic patients with a hypo. Read the story “met gillende sirene door de stad” (here) about a young diabetic who hurries too much (and eats too little) on the first day of his new job. Another colorful blog on acute care, music and personal matter is 100% Mike. One of his post begins with mentioning a very special legacy of his mother: ice creams she won in a contest. The same night an elderly woman came in for a paracetamol, but had to stay for pneumonia and lung embolisms. Another blog about acute care, from an emergency nurse: ECGreetje. Easy to digest information on hobbies (shopping) and acute (heart) care. Here latest post is on the (recently published) positive effect of the song Stayin’ Alive of the Bee Gees on heart resuscitation, not only because of the text but more so because of the beat, which is exactly the rhythm one should use for a successful resuscitation attempt: ~103 beast per minute. ECGreetje, however, is afraid that she will start dancing when listening to this song. 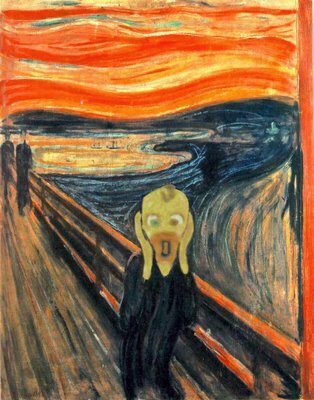 The provocative physicians Dr. Lutser and Creiptocheilus keep on ranting against (alternative) QUACK. Dr Lutser, who takes a blog pause for a while, is highly surprised that the advocate of the controversial anti-cancer “medicine” DCA (Dichloroacetic acid), Wim Huppes, does not use this or any other alternative medicine himself, now his cancer has returned. Cryptocheilus mentions at his blog that he has been banned from the forum of the tv program TROS-RADAR, because he was considered too offensive against mister Braam, another ‘healer’. “C’est la ton qui fait la musique”, perhaps? Good reasoning convinces more than ranting. In his earlier post, Cryptocheilus shows some examples of selective use of evidence and ‘misinterpretation’ of a Cochrane Review by Braam. Pitty that Tros-Radar only hears the tone, without understanding the text. Finally, clinical librarian and second life specialist Guus den Brekel of DigiCMB has some interesting post on SL, for instance about how to spend an $60,000 grant for a project entitled “AIDS Information and Outreach in the Virtual World of Second Life”. He also gives a nice overview of customizabe-widgets, i.e. for blogs, technology and education. Liked the review of your post? Would have liked a review of your post? Like to read (some of the) posts? Then Huize Sonnendael, MedBlog, Patient en EPD, Man in de Zorg, Sister Nightfall, Zorglog, Ervaringen met een verpleeghuis, Cees Sterk, Zorg voor klanten, Manager zorg vertelt, Club Confabula, Over ZN, Zo! Communicatie, Ouderenzorg in de nieuwe werkelijkheid, De gezonde patient, Medisch Contact, Huntingtondaily.web-log.nl, MediGO, MaCoAd, Verpleeghuisarts.web-log.nl, Aria Rad, Herre Kingma, Metabool.web-log.nl, Werken in de zorg, Fontys Mediatheek, Ambupleeg, Weblog voor fysiotherapeuten, Verpleegkundige, Dokter Rob, Trimbos Online 2011, Pekke.nl, Electroconvulsive Therapy, Zorggemak.nl en Bas Leerink’s Blog as well as and some of the abovementioned bloggers become a lurker too, or perhaps a poster! Contributing is very simple, just copy the link to the post that you would like to submit here (the blogcarnival). Just want to read: the next carnival will be hosted November 4th at Dr Shock MD PhD. 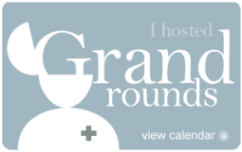 Please contribute to the upcoming Dutch Grand Rounds, so we can advocate health blogs in the Netherlands and keep informed about each other work! Mag ook in het Nederlands, hoor! Graag zelfs!